Need to improve the results of your customer prospecting strategy? The right approach can include referral programs, cold calling, direct mail, autoresponders or blogs, along with many other options. Direct-mail campaigns get proven results, and should generally be a part of the prospecting strategy for any business. Decide carefully whom to target. The first step you need to take is to gather targeted demographics. Who is attracted to and buys your products and services now? Work from here, and develop a prospecting list, with segmentation providing a further breakdown of your potential customer base. Pay special attention to four types of data: lifestyle, financial, market trigger and market indicator. If you’re pursuing growth, it’s helpful to use a web-based program to optimize the process. These programs are generally easy to use and don’t require you to load your own computer systems with software. You’ll also have access to professionals who can help you reach your goals. Use direct mail wisely. Direct-mail customer prospecting is an effective and low-cost option for small businesses. Postcard direct mailers have proven their success over time, and they still work well. When choosing a service provider, make sure you can customize the card with your logo and contact details, along with other relevant information. Want to take your direct mail campaign as far as it can go? Using full-color mailers, along with postage-paid response cards, will set your business apart. Consider reaching out for help. Are you already strategizing about how you and your team can implement direct mail? Consider the value of using a marketing expert. Along with personal guidance and the benefit of experience, using an expert like Continuity Programs allows you and your sales team to focus on sales. And unless you have a marketing department that can take on this kind of project, it’s often wiser to outsource. 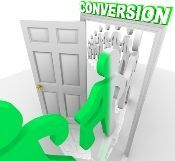 Customer prospecting can drive your ROI, leading to improved lead generation and higher conversions. Continuity Programs‘ turnkey marketing solutions include our proven SurroundMail and SurroundMail Plus programs. Contact us today to find out more.